I don't wear makeup too often, but I do love to be just a little bit extra. 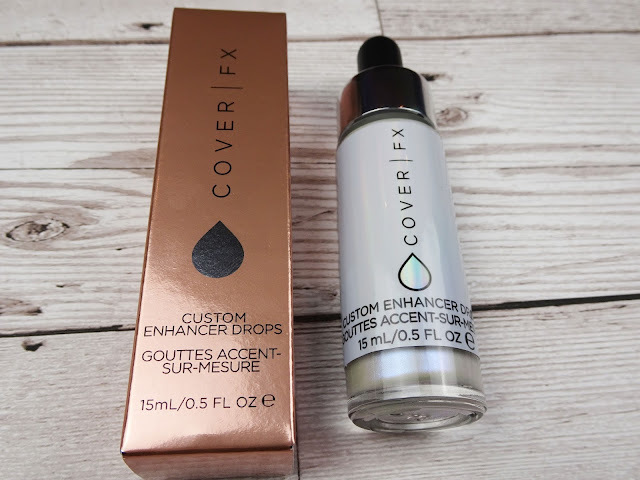 I've lusted after the Cover FX Customer Enhancer Drops for ages, but I just couldn't justify spending so much money on them. After they released their three newest shades, Rose Gold, Blossom and Halo, I was filled with an overwhelming need for Halo. That pearly blue shift is to die for. I debuted this at CarnLIVal, which felt like a bold style choice for me because my makeup is normally quite tame. Everyone kept stopping me and telling me that they loved my highlight, and a lot of them knew exactly what brand and shade I was wearing too. That's a beauty blogger for you! 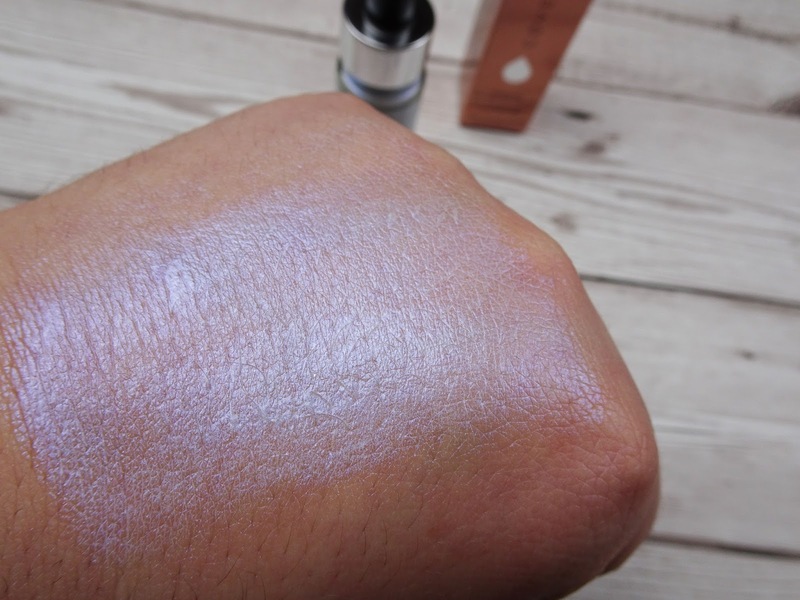 This swatch below is from TWO drops of product. TWO. As you can see from the first photo, it comes with a little dropper and you definitely do not need too much for that much-coveted glow. If you aren't a makeup wearer, you can add it to your moisturiser for a subtle glow. This is probably the option I'll be going for as we quickly approach summer, the season of foundation melting off of my face. One thing I would say though is that I find it wears off a little easily. I normally use less than a drop because I'm not bold enough to have full on blue stripes on my cheekbones so that probably has something to do with it. 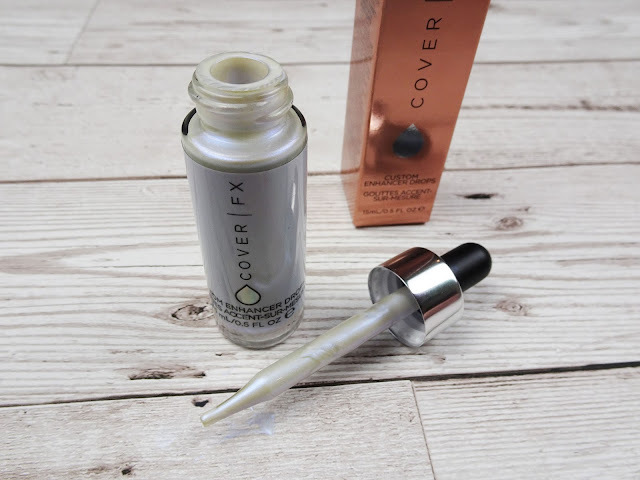 It blends out from a liquid to a powder, so it's a little difficult for me to judge exactly how much I need, but I imagine it'll just take a bit of time for me to get used to. It isn't cheap at a whopping £34 for 15ml of product, so I won't be buying another bottle anytime soon, but considering how little product went into that swatch I doubt I'll be needing to. Have you ever used any of the Customer Enhancer Drops? What did you think? If you liked this, you'll love Current Favourites: August 2017.